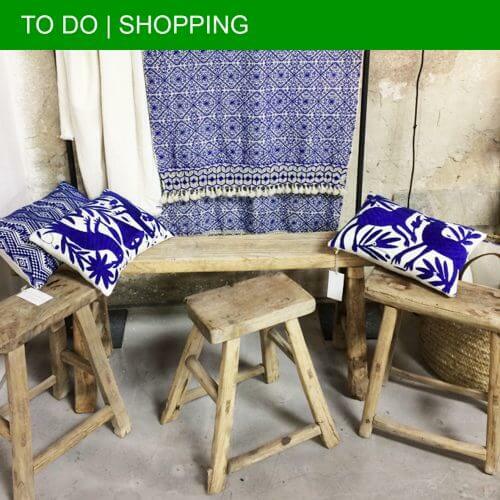 When in France, a visit to a weekly market is a must do. 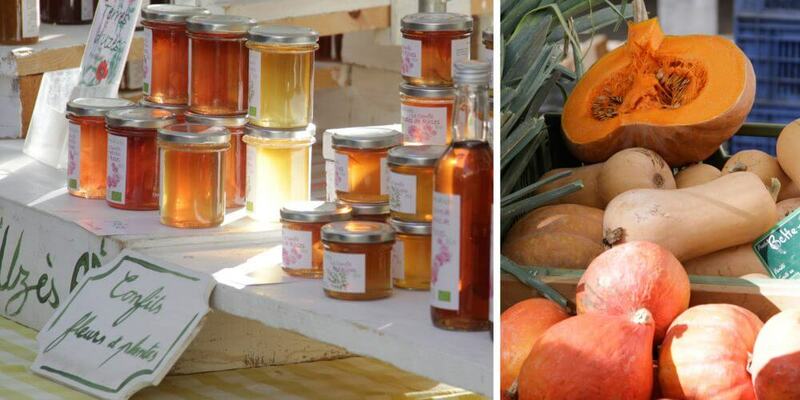 Here is where you can buy local goodies, fresh vegetables and fruits and a lot more. 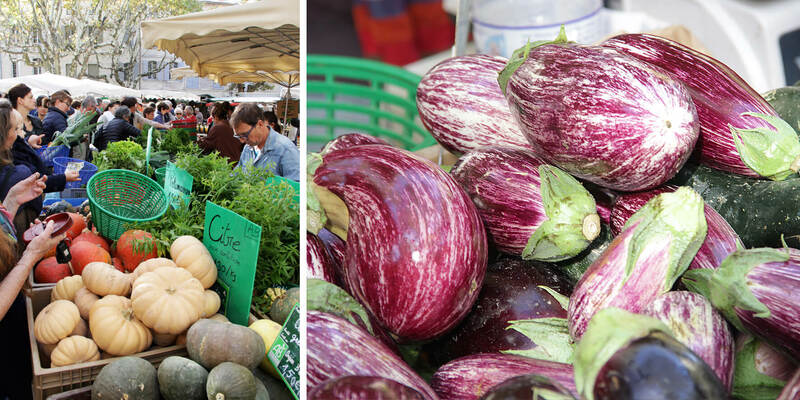 The Wednesday morning market in the lovely town of Uzès is all you want from a French marché. 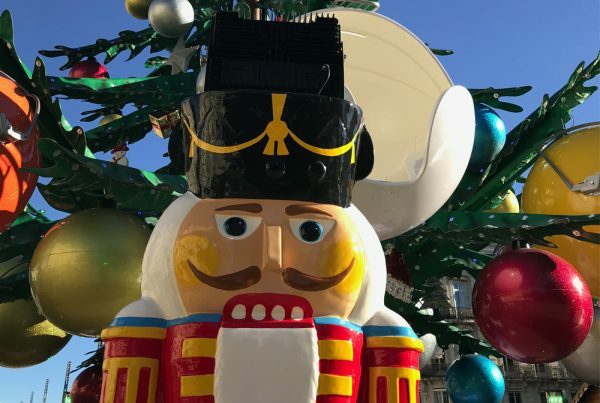 Numerous stalls with the best products from the region are waiting for you at la place aux Herbes, one of the most beautiful squares in the South of France. 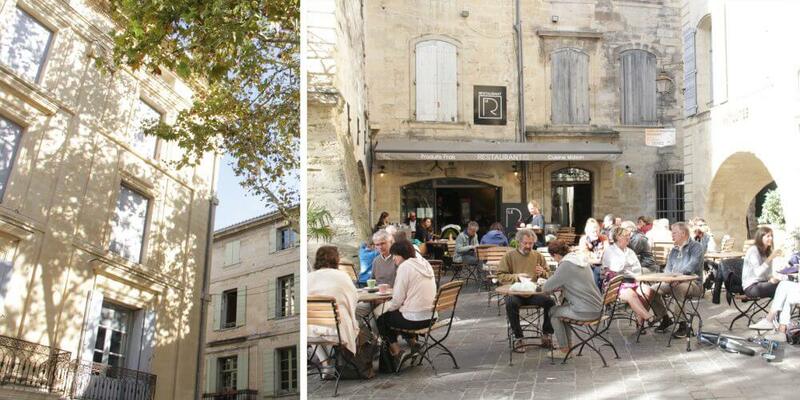 Uzès is a picture-perfect little town in the Gard department, full of life all year round. 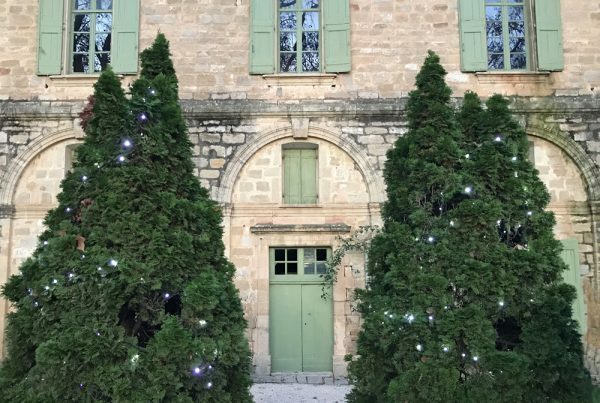 And when in Uzès, you cannot skip the place aux Herbes. Well, actually you can… The first time I visited this lovely town, I completely walked off in the opposite direction, wondering where this famous square would be. The second time, I was luckier. Following some people with little bags full of groceries brought me to the market square. Wondering how on earth I could have missed the heart of the centre on my first visit. Beautiful plane trees surround La place aux Herbes and offer some welcoming shade in the summer. Even in Autumn, the time of my visit, the weather was still great. As the leaves of the plane trees started to fall, I could have a closer look a the historic facades of the medieval houses. The arched vaults underneath them host many terraces to have a refreshing drink. 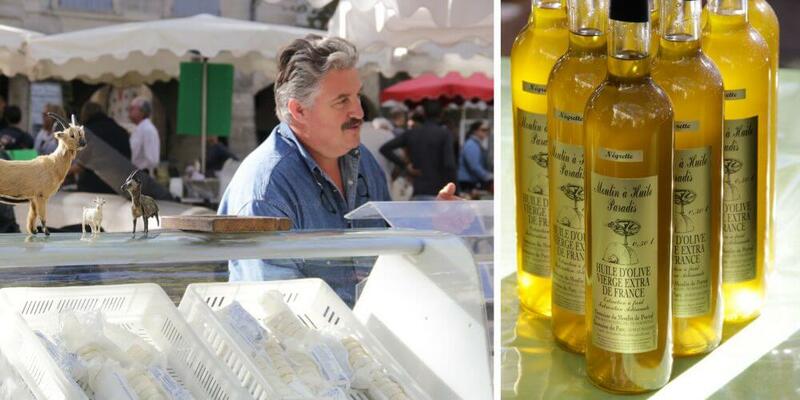 The Wednesday market of Uzès is a true feast for foodies like myself. I indulged myself in the regional delicacies presented at the many market stalls. Tasteful vegetables, grassy flavoured olive oil, colourful fruits, fresh goat cheese, local dried sausages and many beautiful products more screamed for my attention. I can imagine that this market is packed during summer. My tip is to go early to avoid crowds and to make a reservation for lunch. In summer the arches surrounding the square are a very popular spot to have a pause from the market. I had lunch at restaurant “Le R”, a lovely place. They serve French cuisine, using fresh and local products. While enjoying my homemade meal, I contentedly watched all the people strolling by. 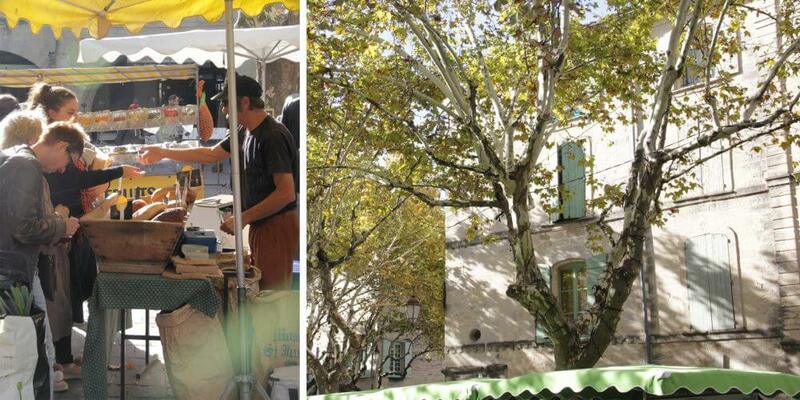 There are two markets in Uzès that are held year-round every Wednesday and Saturday from 07h30 to 13h00. 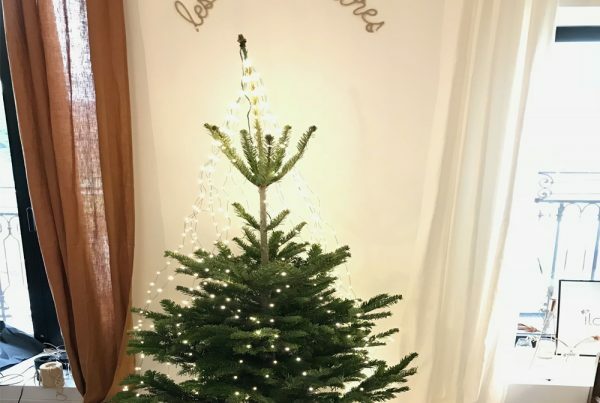 Location is la place aux Herbes. The Wednesday market mostly sells food; the Saturday market also sells non-food products. Market days can be busy; best is to park a bit further from the centre. I was lucky to be able to park my car at the Gide parking lot, underneath the Lycée, a 5-minute walk to la place aux Herbes.